Anyone who's ever asked me about embroidery has probably heard me say something like this: "I hate embroidery with the fire of a thousand suns." And, for the most part, I do. I'm a product stitcher, not a process one. 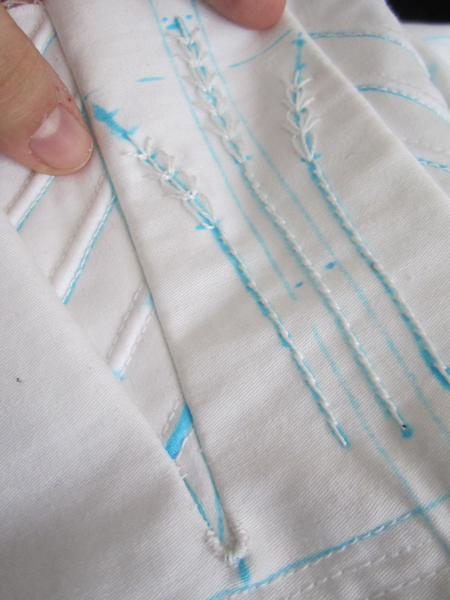 That is to say, I don't do this because I just love sewing so much. I do it because I like other aspects of the creative process--for me, it's problem solving, design, sourcing, and the finished product. Embroidery is a lot of work, but the results are so worth it because it makes any project seem that much more special. Looking forward to your finished product--very pretty so far!